Thor Holt isn’t connected to the God of Thunder in any way, but he is one of the most powerful and influential public speakers around. However, it wasn’t always that way. As a child living on the Shetland Islands, just over 100 miles from the coast of Scotland, he was incredibly shy. In fact, he was so shy he wouldn’t even look strangers in the face or even say ‘Hello’ to them. But having that experience means he can now empathize with clients who go to him to improve their own public speaking skills. He knows just how the fear of having to speak to a group of people can mentally cripple you. 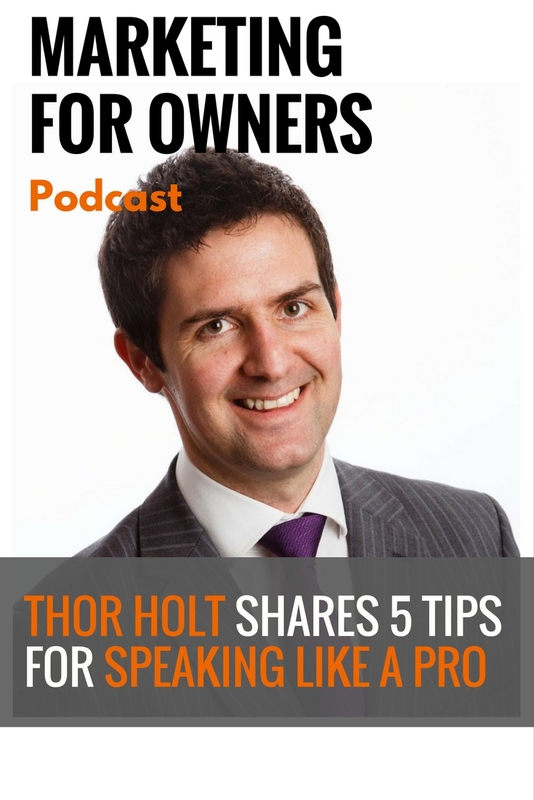 This was a fear which Thor didn’t face head-on until many years later when he found that public speaking would help him to grow his business as a personal trainer. The story of how he overcame it is a good one. And now he has so many tips and tricks to teach us, that we’ll all soon be professional public speakers. His parents say he was born during a thunderstorm, and thus his name. But Thor thinks that story may have been a bit idealized. Instead, because the Shetland Islands have strong Nordic routes, it was an attempt by his parents to help him fit in. However, the reality was that everyone else had normal names. Although it is a conversation starter, it didn’t open any doors for him. With intentions of becoming a part of the Marines, Thor studied for a degree in history, with a touch of religious studies, economics, and teaching. But by the time he’d graduated, he found his eyesight had deteriorated and would no longer pass the medical to join the Marines. And so he became a personal trainer back on the islands for 15 years. Then he studied in London for his post-graduate degree in Drama, via a short stay in Sydney, Australia. Throughout his life to this point, he’d masked his inability to speak in public with alcohol when in social situations. But it was when he became a personal trainer in an exclusive Scottish country club that he was asked to introduce himself at a dinner event. The intention was to gain more clients. The reality is, that he was so terrified and unprepared that the idea of crashing his Land Rover so he’d get an injury, was an appealing option. You may have thought that his time studying drama would have helped him. But the truth is that it didn’t give him the courage needed. But it was years later, with his own personal training business, that he decided he needed to do something to help promote himself. He discovered that public speaking was a great method of achieving that. So, with the mindset that you should always do things which you’re afraid of, he went for it. Thor endeavored to find someone he knew who could help him. 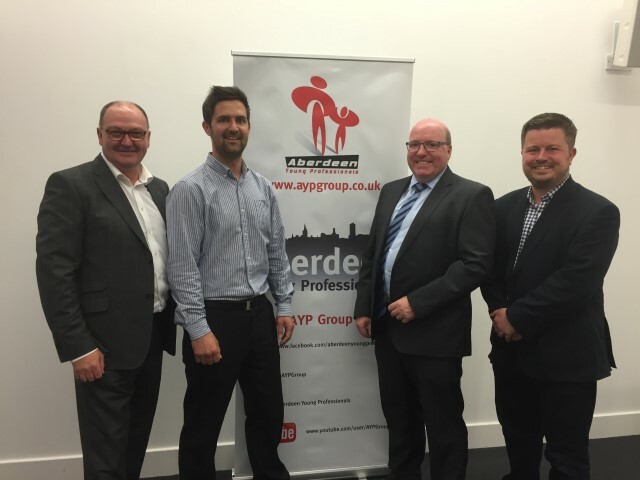 And he turned to Bob Keiler, CEO of a FTSE 100 company at the time, and client from the gym. He was, and still is, regarded in Scotland as a great public speaker. After approaching him, he soon received an email with the subject line ‘Thor’s Challenge’. Bob had gotten him the opportunity to speak at an after-dinner event in Glasgow, in a week’s time. And it would be to 100 of Scotland’s biggest business leaders. Thor couldn’t turn down that kind of opportunity. So Bob gave him some old course notes he’d made from years before. And Thor set about writing a speech using everything he’d learned from them. The morning before, he pressure tested himself giving the speech. And with that dress rehearsal, he knew he was well prepared, and it had given him the confidence. He was hooked on public speaking. Here are his 5 tips to conquering it as well. There needs to be a good reason for why you want to become the best speaker you can be. That will give you the motivation you need to achieve it. 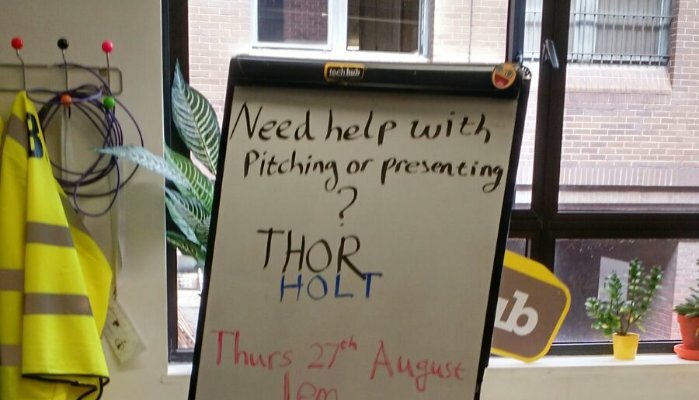 For example, Thor’s strategy for helping his clients requires time and effort. So knowing that why helps to focus your mind to achieve that goal. That’s because the reasons for why you have this apparent inability are often set deep. It could be a personal experience which has caused you to have this issue. Or perhaps a bad experience when asked to speak in front of your class at school. But whatever reason, the why needs to be so powerful that it supersedes those experiences. Firstly, you need to know who your listener is when preparing a speech. Obviously, there’s likely to be more than one person, but who are the key people, and what commonalities will everyone share? When you’re thinking about this, it may be the person who invited you. Or the senior ranking person in the audience. Perhaps the speech has a strong financial factor, so who are the people who are going to care about what you’re saying? With that knowledge, you then need to work out what issues those people may be having. Then, you can address it. You must remember when giving a presentation that it’s not about you. But you need to make sure you’re telling them what they need to hear. Thor finds it’s often helpful to write out two lists. One includes all the questions you’d like to be asked. And the other has all the brutal, tricky questions you’d hate for someone to ask you. With those two lists, you should be able to build a great speech. That’s because, with your knowledge on the subject in question, you have already answered the questions people may have. You can’t just put your head in the sand and hope that no-one asks those questions from the second list. If you can answer it straight out, with confidence and honesty, they’ll respect you and your speech will be a success. And when that’s the case, it’s hard to go wrong. A lot of people aren’t fans of PowerPoint presentations during speeches. But that’s because they’ve not seen it done right. They can be used very effectively. For Thor, the key is that less is more. And if you can create a presentation without words, then that’s even better. Many people have a habit of just reading what they’ve put on the slides. But it should be used as a tool for support as you take people along the journey with you. Thor says that the most effective use of slides was during a presentation given by Dan Heath. His slides were just an image, about which he would talk about in detail. But as he spoke, the image would fade away. The effect is that people then become less distracted by what’s on the slides, and instead focus their attention on what he’s actually saying. However, as he spoke, you would still have that image in your mind. And then he’d move onto the next image and do completely the same again. Of course, you may need to put text in your presentation slides. Perhaps because you’re talking about a complicated subject and writing will help your audience to gauge the subject. Or because you need to share the corporate message. But you can still harness the power of the blank screen. You can use the writing to start discussing a point, but as you elaborate, remove the text from the display. When giving a speech, you need to add some ‘presentational salt’, as Thor calls it. And by this, Thor says you need to do something different to keep your audience captivated, so they want to keep drinking from your fountain of knowledge. Or in other words, keep them engaged and their attention on you. Now this could be the use of blank presentation slides to intrigue them. Or, you could ask them a question. The latter is a tactic which Thor uses, and this is where your lists of questions may come in useful. Of course, you’re not looking for the audience to answer them; they’re rhetoric. But just by posing a question, pausing for a second and carrying out, you’re doing something different. You’re engaging them, even if it is just because they think you’re looking for the answer from them. There will always be people in front of an audience, talking. That may be to impart information, or to raise awareness for something you’re a part of. There are loads of people doing exactly that in videos and podcasts which are then shared on social media now. And their purpose will still be to peak the interest of the audience. Plus everyone is the face of their business. There’s no longer a corporate image, but something which is always out and about when you talk to anyone. You must think about how you want people to feel after they’ve listened to your message. What emotion do you want them to have? Because you then produce a speech with the target of achieving that sense. Stories are always great ways of going about it. They’re far more engaging than anything else. For thousands of years humans have been telling stories in many different ways, and that’s not about to change. 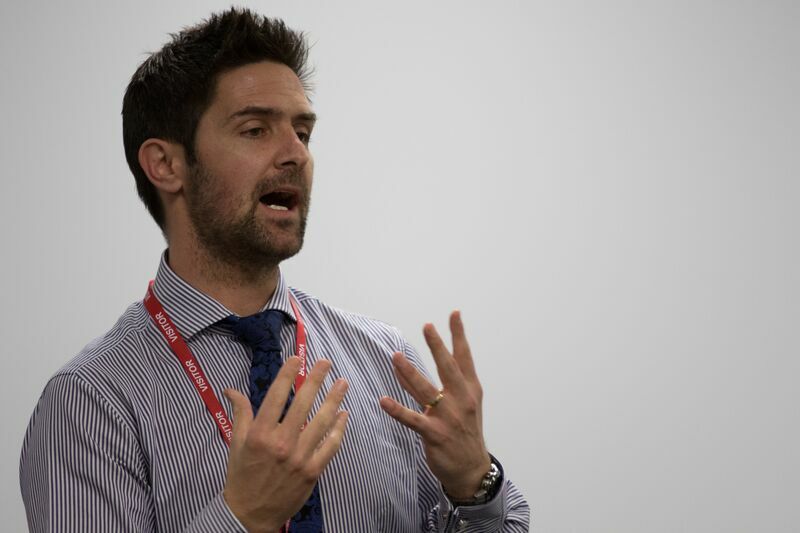 The key to becoming a great and engaging presenter is to be a great storyteller. Jon cites that Bo Eason is one of the best at practicing that on the stage. He’s so full of energy that it’s hard to focus on anything else other than him – he has your full attention whenever he’s on stage. And on the top of Jon’s book wish list is Creativity, Inc. from Ed Catmull who is one of the guys who changed animation forever at Pixar. After all, they’re some of the best storytellers around today. 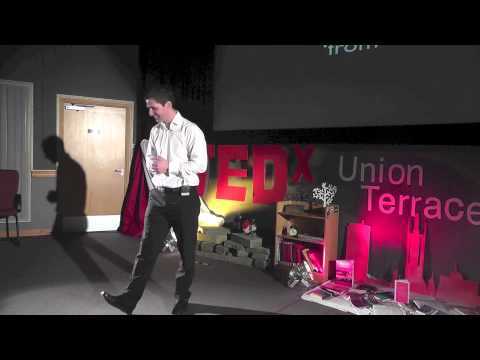 You can check out Thor Holt practicing what he preaches during his TEDx talk. There you really can see a master at work as he plies his trade, as well as learning lots of invaluable information. But you can also learn a lot from Thor Holt’s own website, which is packed full of different opportunities to become a public speaker who has the courage to stand up and share his or her message. And on his own podcast Write With Courage, Thor chats to some great professionals who are some of the best when it comes to storytelling. You’re bound to learn everything you need to become an engaging storytelling, no matter what form you choose to tell it in.